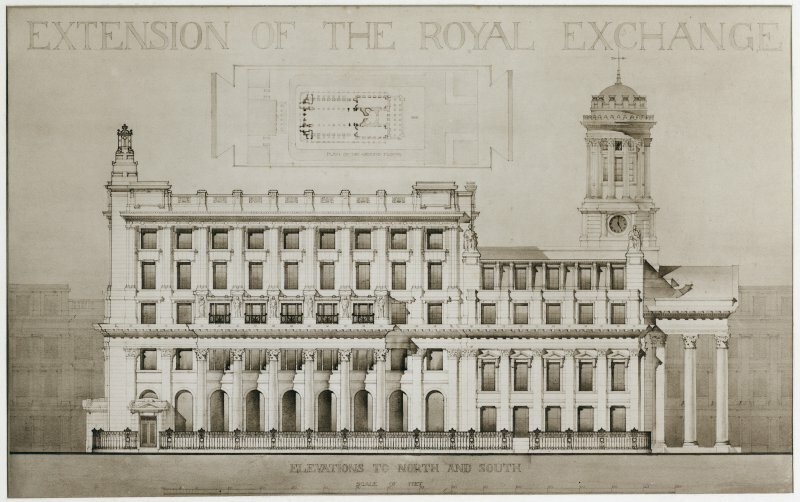 Drawing showing design for proposed alteration and extension of E elevation. 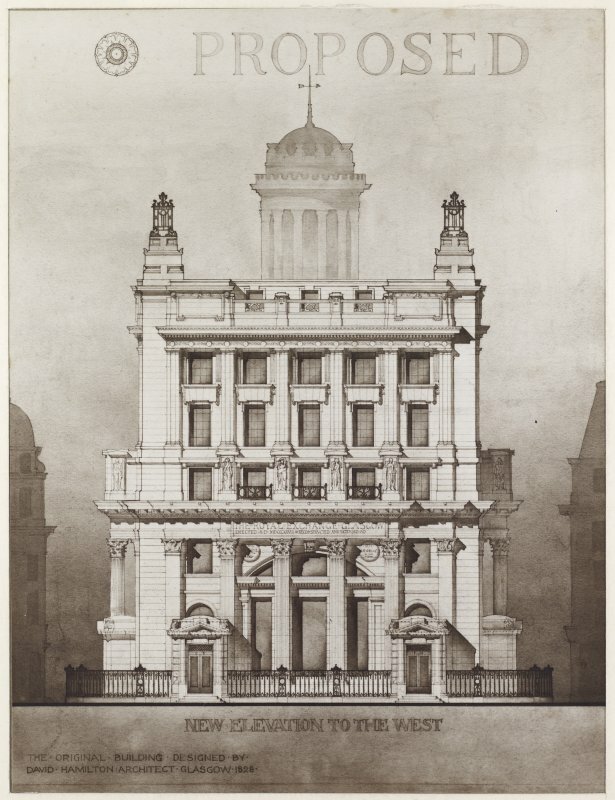 South elevation of 46 - 58 Royal Exchange, Glasgow. 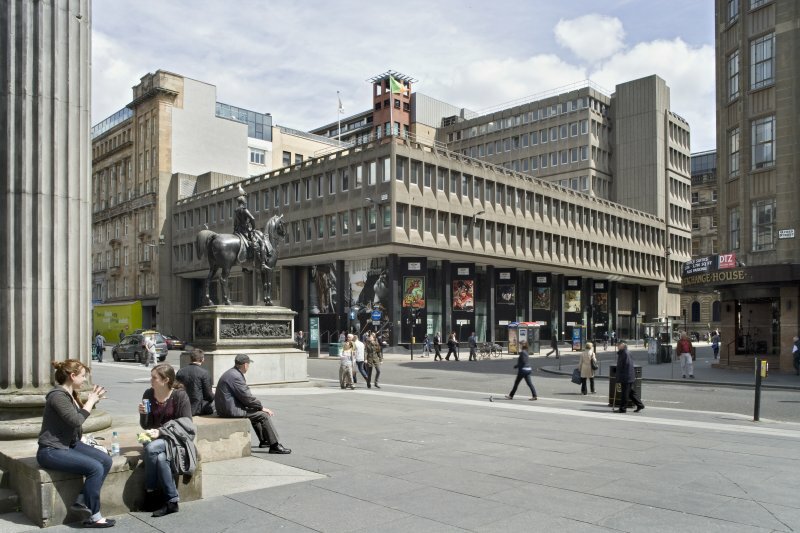 View of the Royal Exchange, the statue of Duke of Wellington and the Guardian Society Offices, Royal Exchange Square, Glasgow. 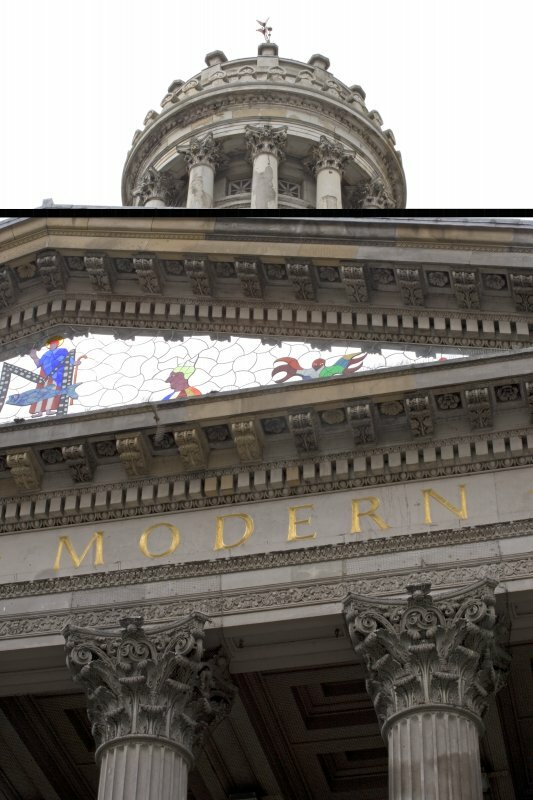 The Royal Exchange now houses the Gallery of Modern Art. 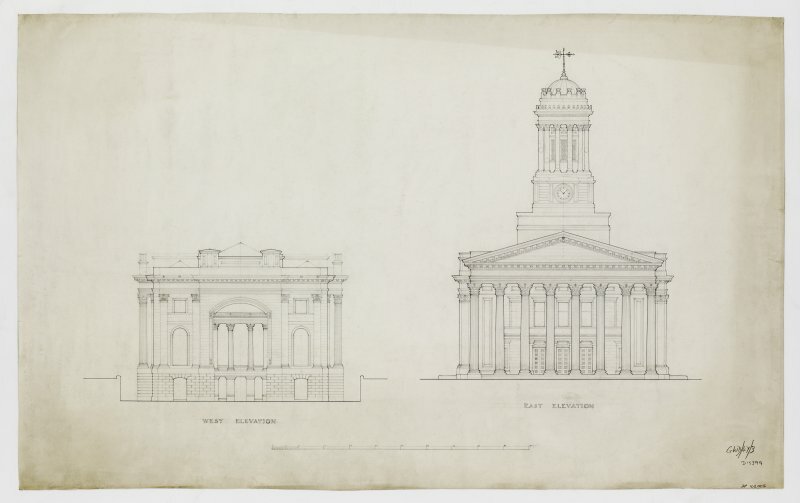 East and West elevations, 46 - 58 Royal Exchange, Glasgow. 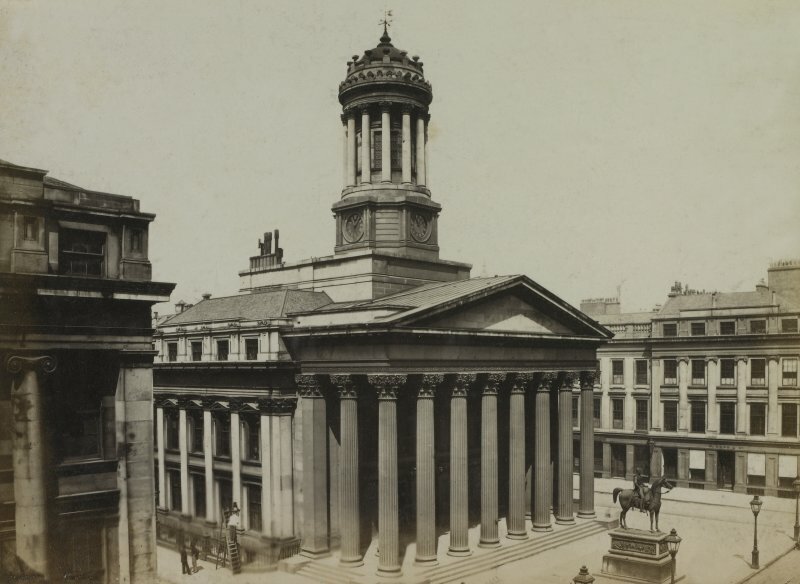 View of the Royal Exchange, the statue of Duke of Wellington and the Guardian Society Offices, Royal Exchange Square, Glasgow. 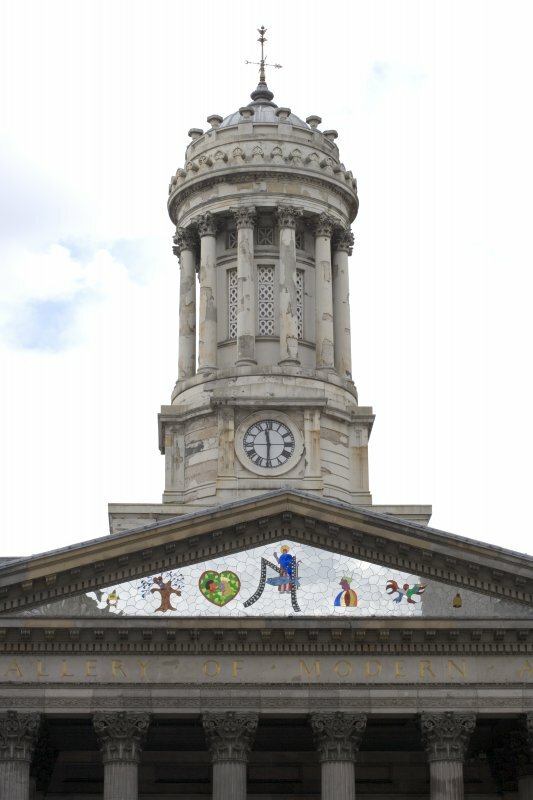 The Royal Exchange now houses the Gallery of Modern Art. 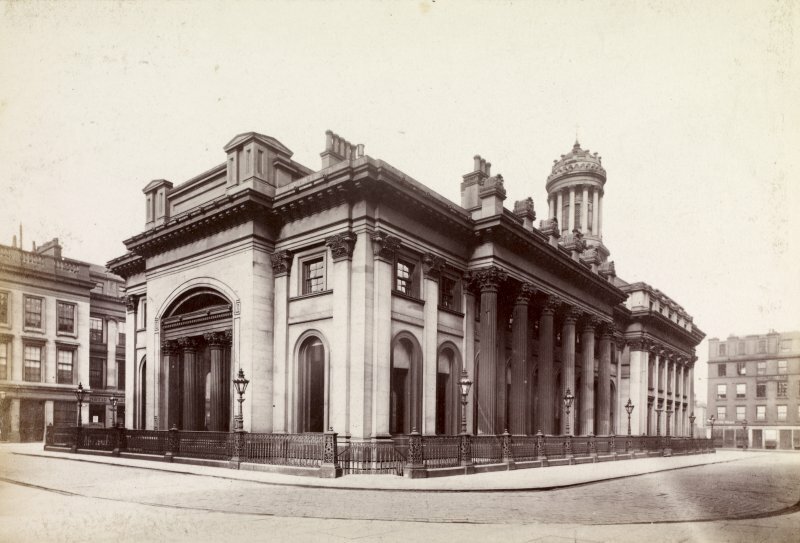 PHOTOGRAPH ALBUM No.146: THE THOMAS ANNAN ALBUM. 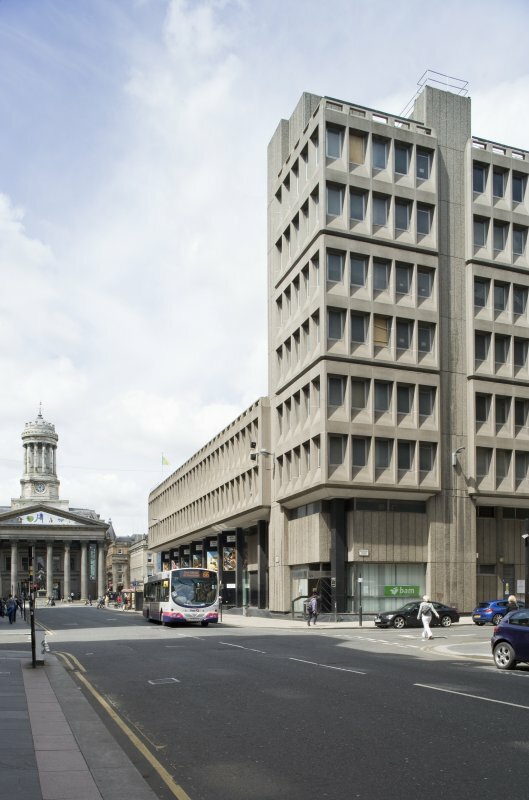 View of Queen Street Bank of Scotland, taken from the ESE. 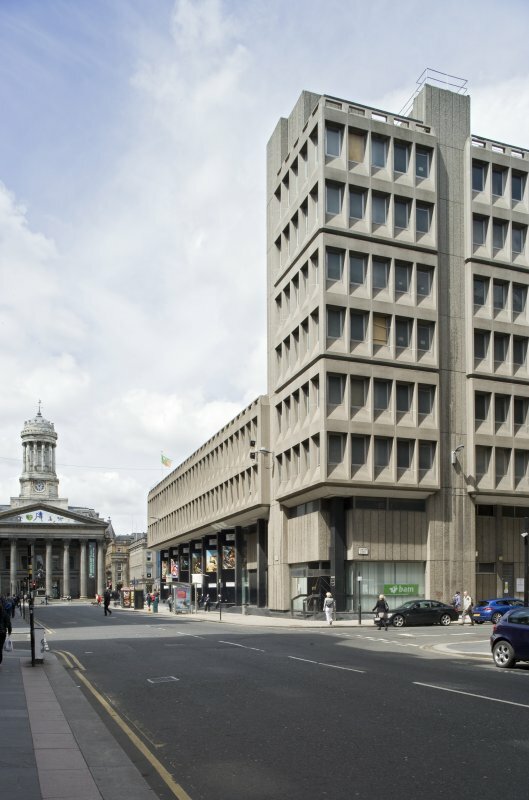 General view of Queen Street Bank of Scotland, taken from the SSW. 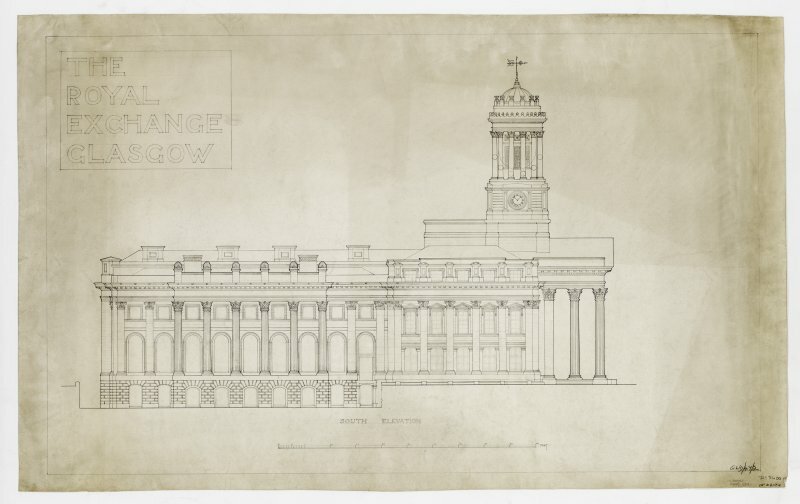 Drawing showing design for proposed additions and alterations, N and S elevations and ground floor plan. 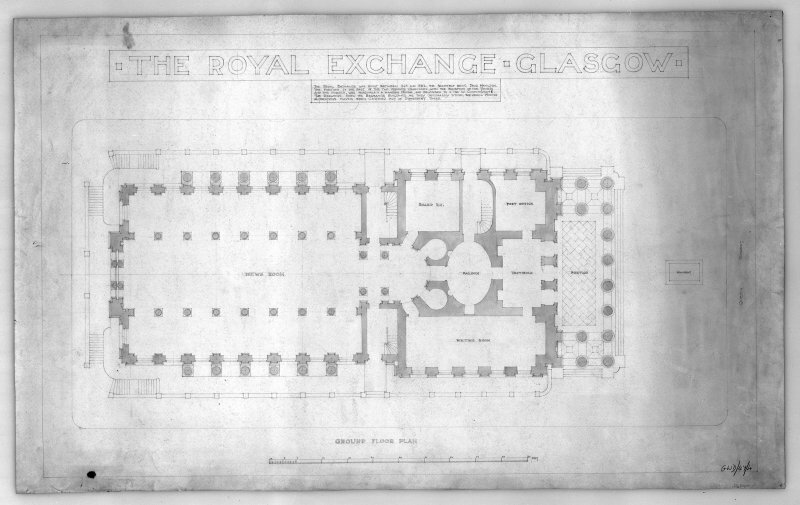 Photographic copy of drawingn showing ground floor plan. 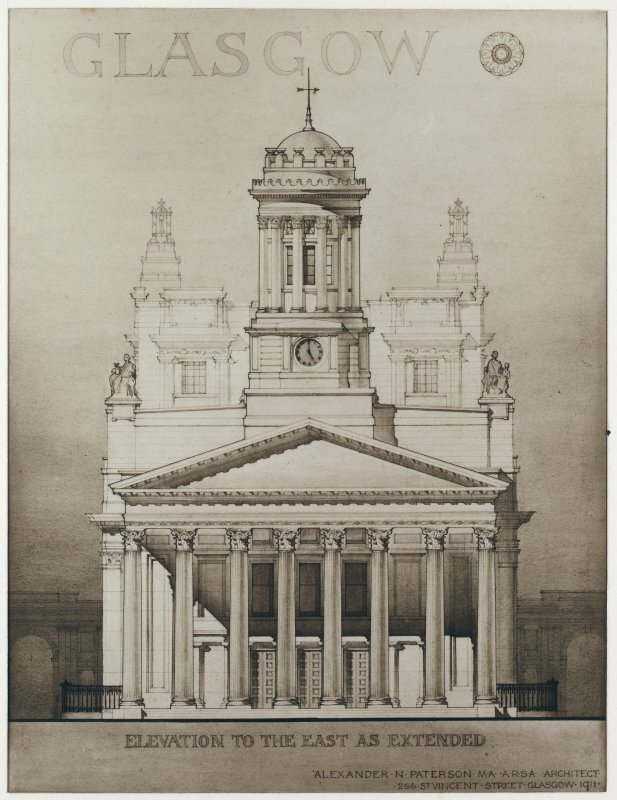 Drawing showing design for proposed alteration and extension of W elevation. 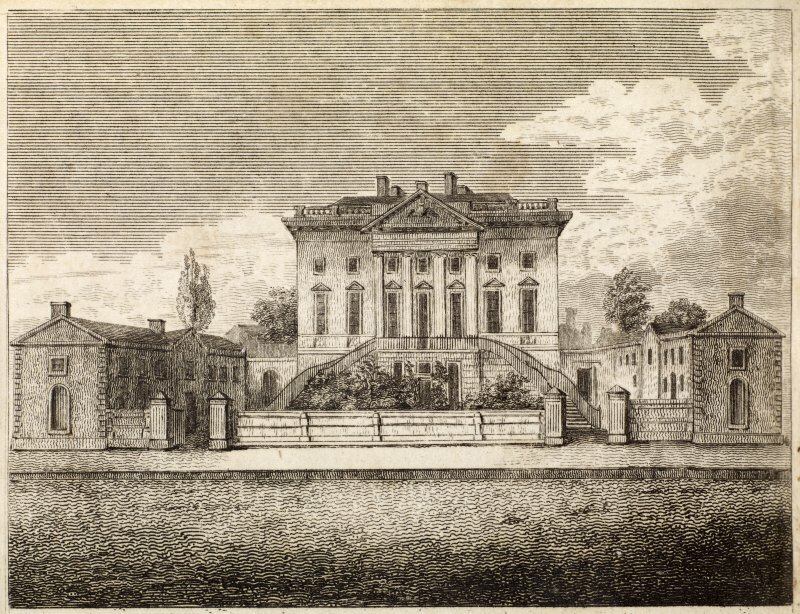 The East end of this building was the Cunninghame Mansion, 1778. 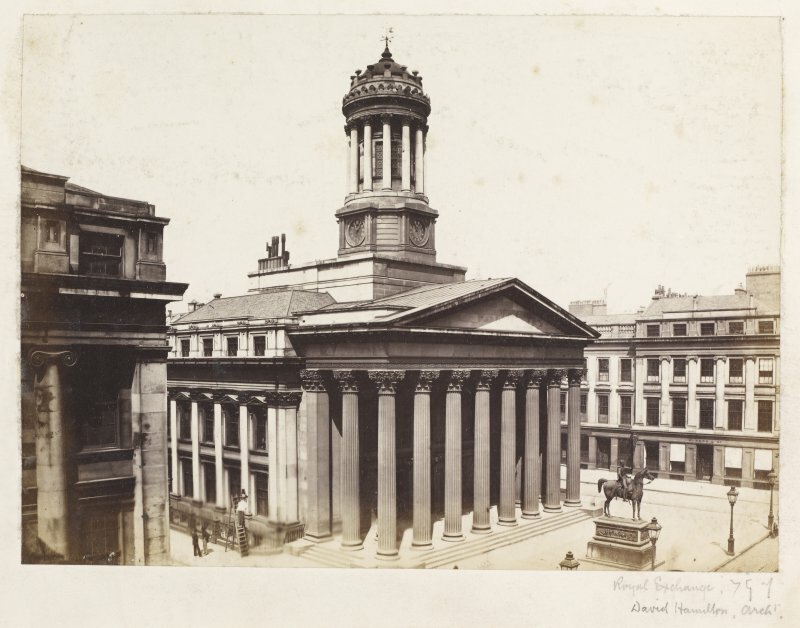 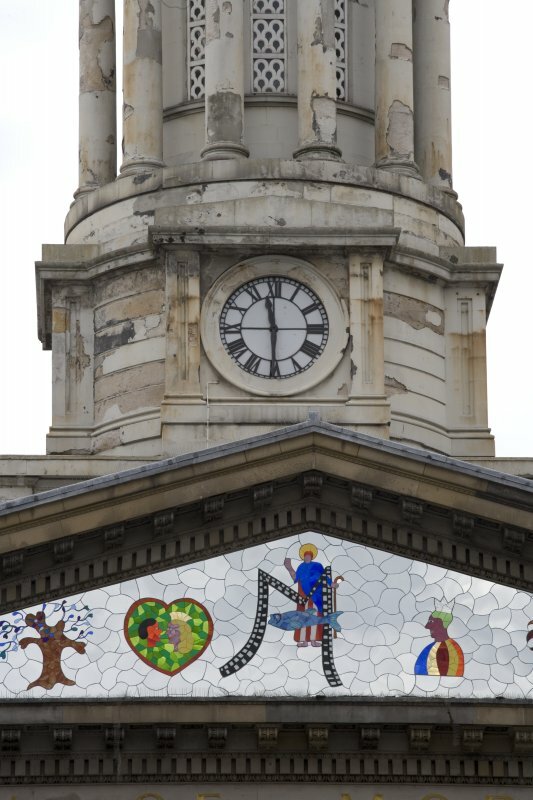 It was altered and enlarged to become the Royal Exchange, David Hamilton, 1827 - 1830. 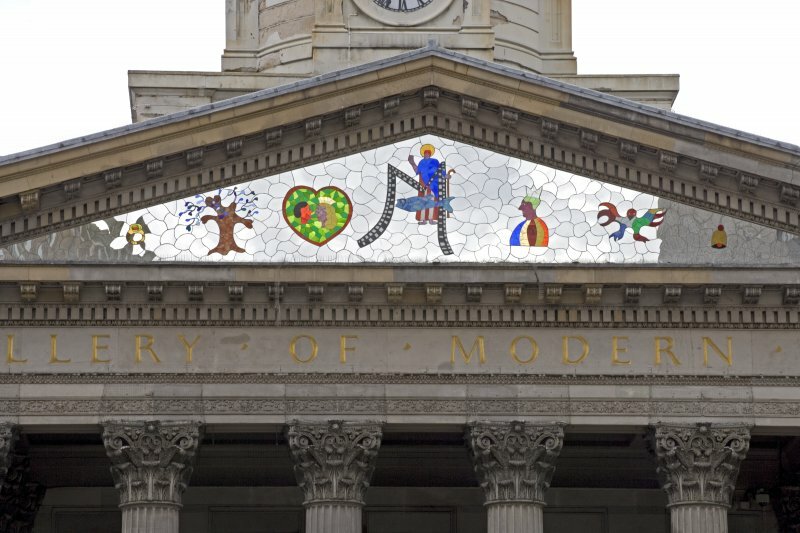 The Stirling Library was housed here until 1993.. Now Gallery of Modern Art (opened 3 July 1996). 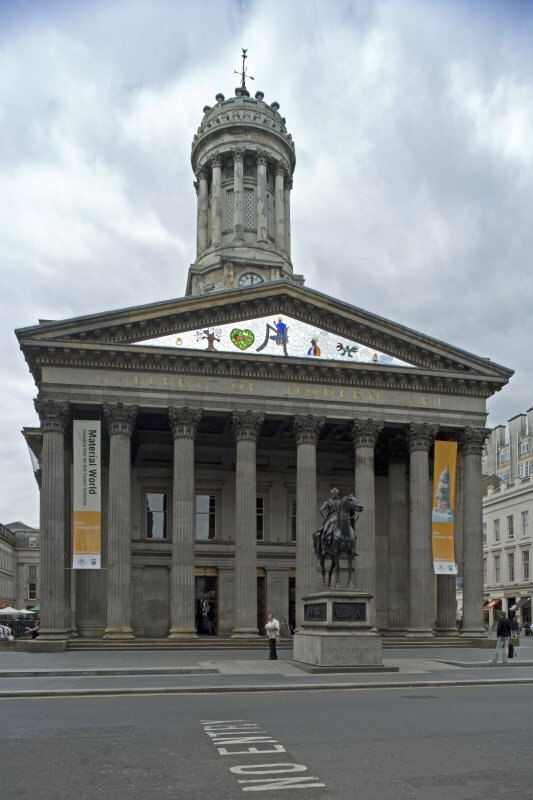 In 1827 the Royal Bank of Scotland employed Archibald Elliott to build their new premises, having sold the Cunninghame Mansion to the Royal Exchange, and David Hamilton was employed to transform the building, which is now The Gallery of Modern Art. 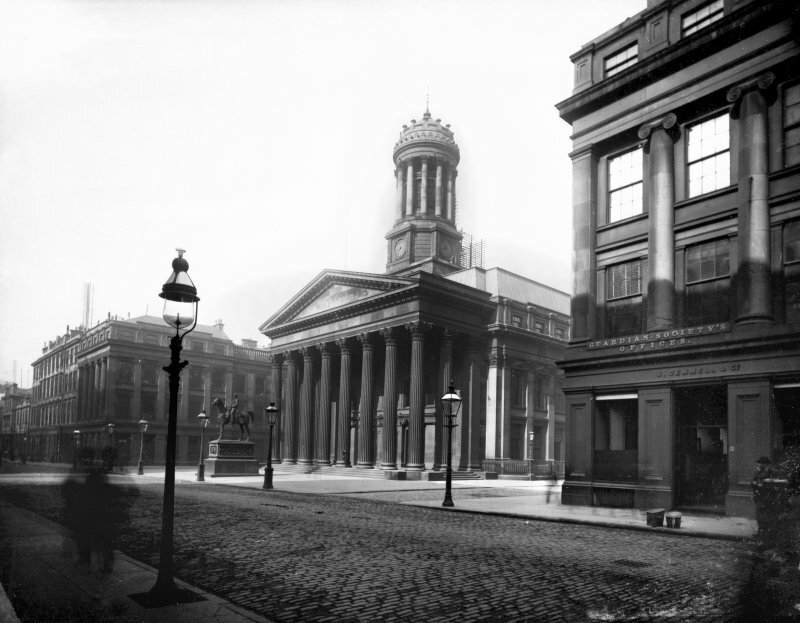 The Bank then went on to develop Royal Exchange Square, creating one of Glasgow’s finest neo-classical set pieces. 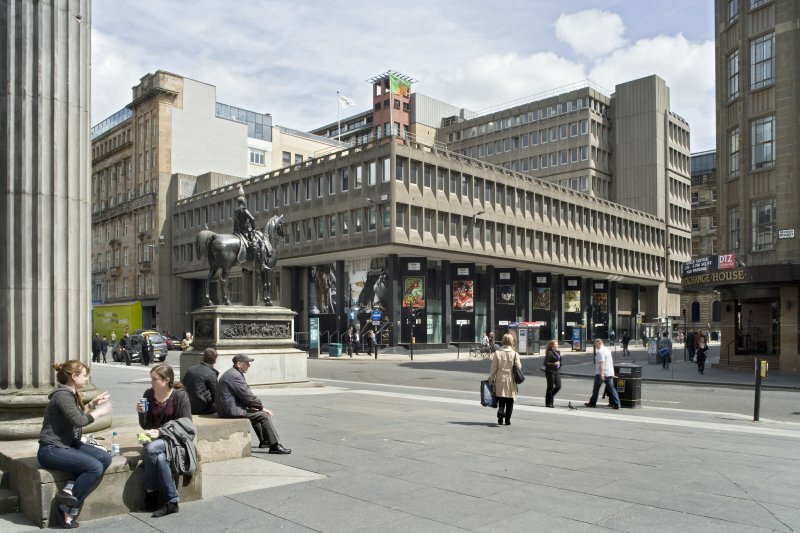 The building is now Borders Bookshop. 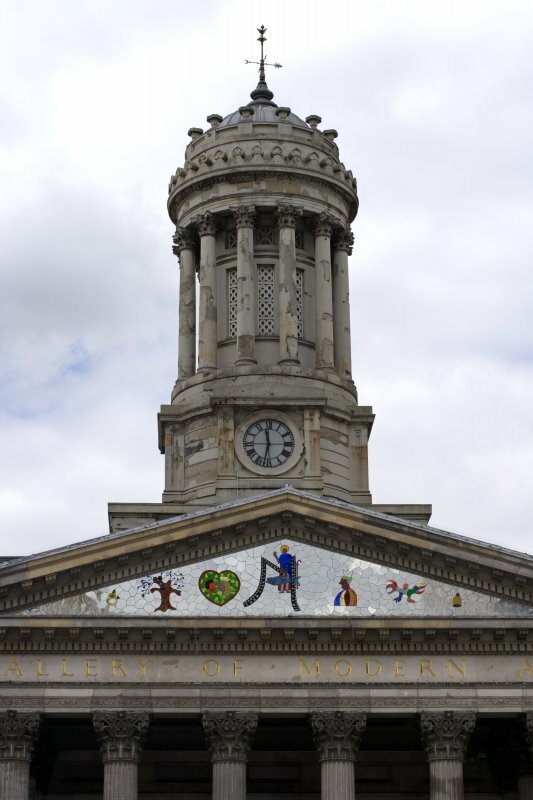 Information from 'The Royal Commission on Ancient and Historical Monuments of Scotland: Field Guide 2006'.